From conception to construction, building a deck that’s both fantastic and functional is totally doable - here's how. 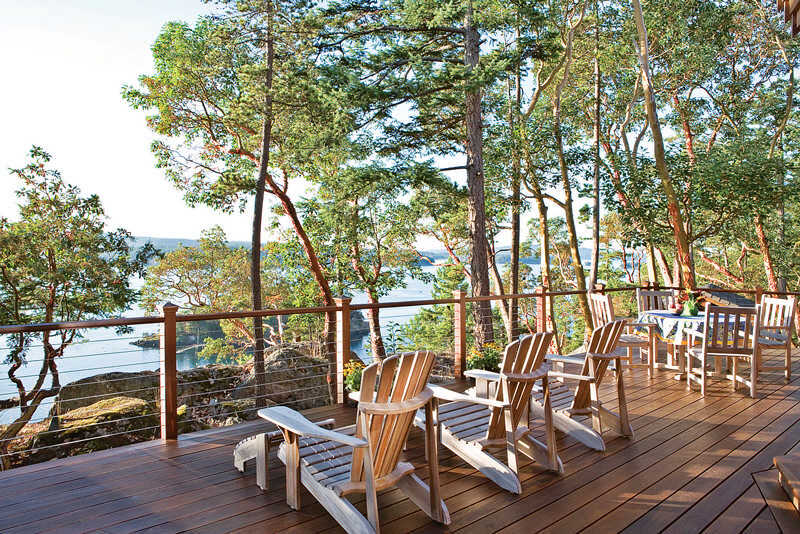 Everyone loves the idea of a sprawling deck (or two) to expand their home’s usable living space. But before putting shovel to soil, you’ll need to do some thorough planning to ensure you’ll build a deck that you and your family will love and use frequently. So whether you have the luxury of designing your deck to perfectly suit your new custom home or you’re building an outdoor space as an add-on to your existing house, check out these expert tips for designing your dream deck. First things first, you’ll need to think about where you’ll want the deck located on the house. According to Mike Rudh from Decks.com, the average outdoor area is about 12 to 18 percent of the square footage of the entire house, so try to imagine your deck as you would any other room in your timber home. For example, you wouldn’t end a room in the middle of a window, so don’t do the same thing with your deck. “Keep the parameter of your deck away from your windows by at least 2 feet, or you’ll be looking out the window at a rail,” he suggests. Most people use their deck for dining outside, so think about positioning your deck in a way that allows for an entrance into your home’s kitchen — an easy design decision that will make a big difference when grilling or entertaining guests at meal time. 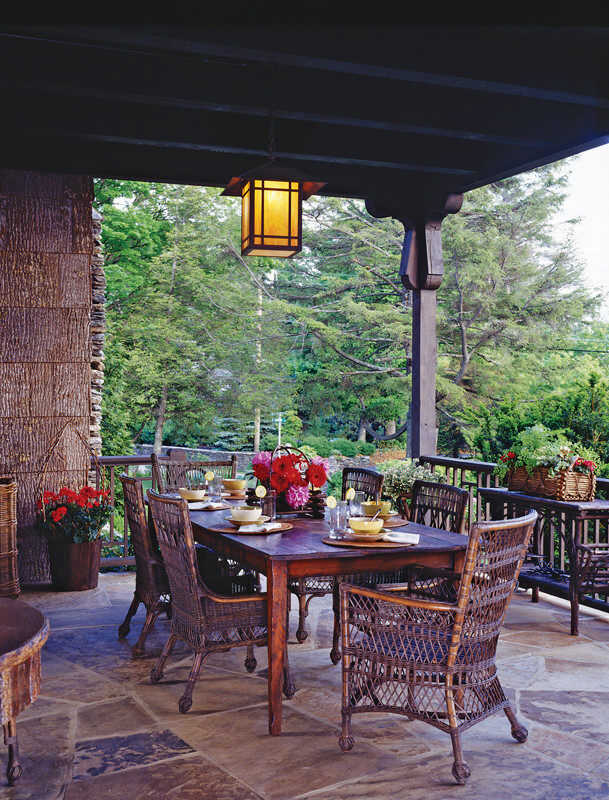 To accommodate eating outdoors, many homeowners are incorporating an octagon or bump-out space on their deck to separate the table and chairs into their own designated dining area. A screened-in area, such as a gazebo or screened-in porch, would also work for this type of setting. Although designing a doorway that walks straight out onto the deck is the most desirable option, if you live in snow country, think about incorporating a small staircase down from the doorway to keep standing snow from sitting on the threshold and leaning against your door. If you decide to build steps from your deck down to your back yard, you’ll need to read up on staircase regulations in your area. A width of 36 inches is typically as narrow as you can build your deck’s stairway, and the run of each step should be between 10 and 12 inches deep for proper safety. If you have a second-story deck, consider a landing midway down your staircase to minimize potential falls. When thinking about the depth of your deck, consider how far your deck’s joists can span before you’ll need to add another beam. 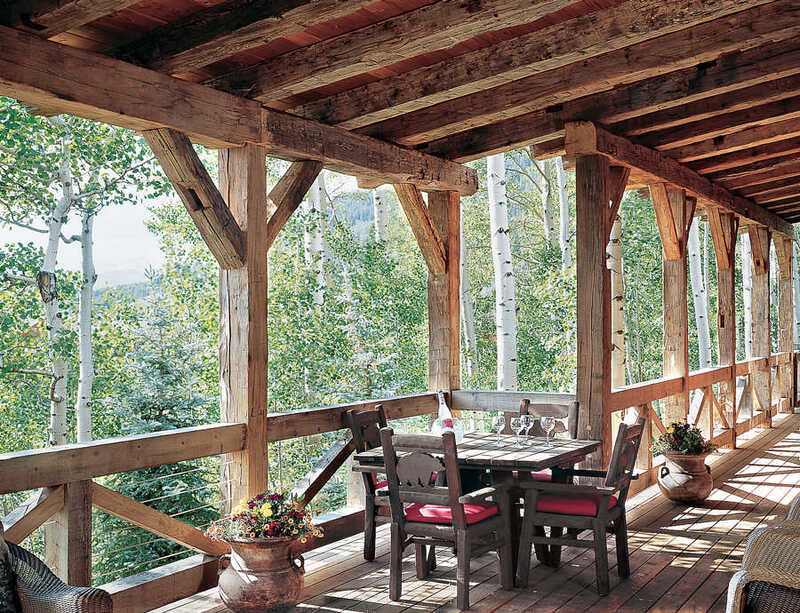 (This can be costly if you have to add another complete set of piers to hold up your deck.) Just short of 12 feet is the maximum span common for 2-by-8-inch joists under most conditions, but with an added cantilever, a 14-foot deck can be built from one set of piers and beams. From there, you can create a deck that’s as wide as you like, but take depth into consideration to avoid higher costs and a deck that extends too far into your yard. Typically, deck railings are required for any deck more than 30 inches above the ground, and for stairs with five or more steps. The height of a deck railing often needs to be between 36 and 42 inches, but again, this can be subject to various building restrictions. The regulations for spacing between balusters usually calls for 4 to 6 inches, and the space between your deck floor and the bottom of the railing should be 2 to 4 inches.